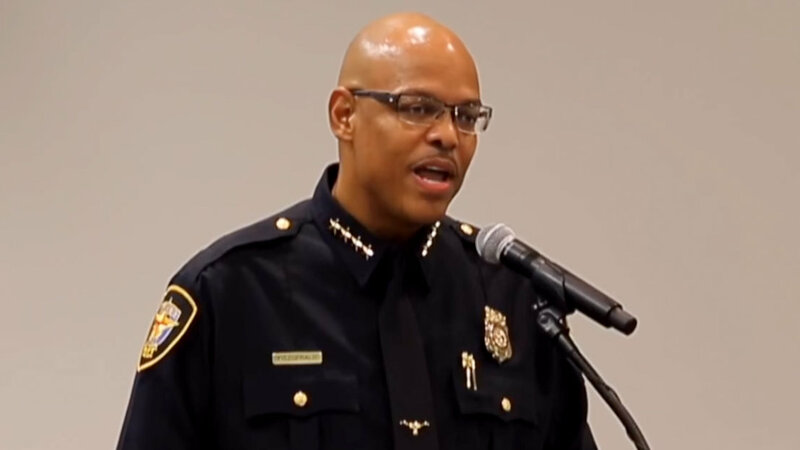 Mayor Catherine Pugh today confirmed that Fort Worth, Texas, police chief Joel Fitzgerald is – as a local citizen journalist reported on social media a month ago – her choice to be the next Baltimore police commissioner. “Today, I am announcing a new beginning at police headquarters and presenting the person I believe is best suited to lead the way forward,” Pugh said on Twitter, announcing her selection of the 47-year-old Fitzgerald. If ever there were a police force in need of “a new beginning,” the BPD is it. Fitzgerald would assume command of an agency that has generated a steady stream of scandals – cops federally indicted on corruption charges, the still-unsolved killing of a detective set to testify in connection with that corruption case, officers caught selling drugs and planting evidence, an officer found drunk in his patrol car, and many other incidents. Meanwhile, crime and violence have continued to plague the citizenry, with last year’s 343 homicides making Baltimore the nation’s deadliest large city. Baltimore has been without a permanent police commissioner since May, when Pugh’s previous pick, Darryl De Sousa, quit after being charged with failing to file tax returns. Interim Commissioner Gary Tuggle, himself a newbie on the force, then assumed the position. De Sousa had been named after Pugh fired Kevin Davis in January, saying she had lost patience with Davis’ inability to stem continued historic levels of violence. The selection process that led to today’s announcement has itself been a cause for controversy, with Pugh promising to engage the community in the decision-making but never doing so. Her administration had, for example, promised a seven-member panel to help select a shortlist of names. City Solicitor Andre Davis eventually acknowledged there was no citizen panel, but that outside consultants had been retained to guide the mayor. Stretching over the summer months and into the fall, names have leaked out, but the process remained secretive. Pressed on the matter, Pugh promised to name a new police commissioner before Halloween. But as that date approached, she acknowledged there would be no announcement. “I’m not going to be rushed,” she said.